When looking into having shutters for your home, one of the first thoughts for many is “Can I do this myself?” Technically, yes you could. 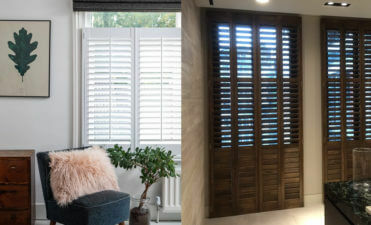 As with all products there are sites that offer DIY off the shelf shutters which are delivered to your home and you are free to try and install them yourself. For those that are skilled in this kind of area, builders and skilled tradesmen with the technical knowhow it may save a few quid, but for your average homeowner there are pitfalls which could really leave you out of pocket if things go wrong! Websites which sell off the shelf shutters make it clear that if you measure wrong, once the shutters are made and sent, the onus is on you. Unfortunately if you dig deep through their FAQ pages and terms it is clear that the customer must take responsibility for any measuring mistakes. 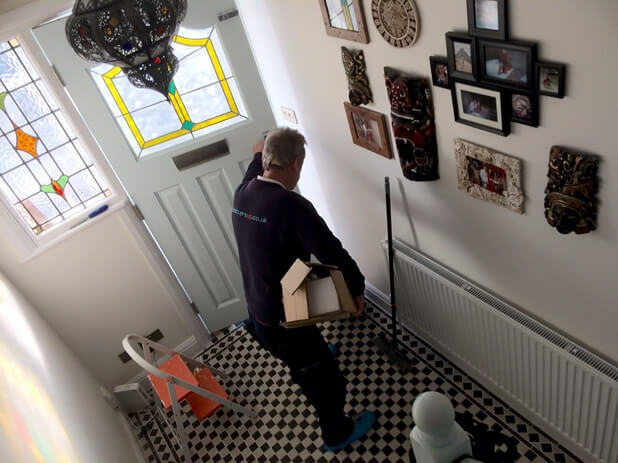 They will normally confirm the measurements before sending your order, rightly taking any liability away from themselves before manufacturing, but this can create a sticky situation for those that have simply measured wrong or provided the wrong measurements to the company. 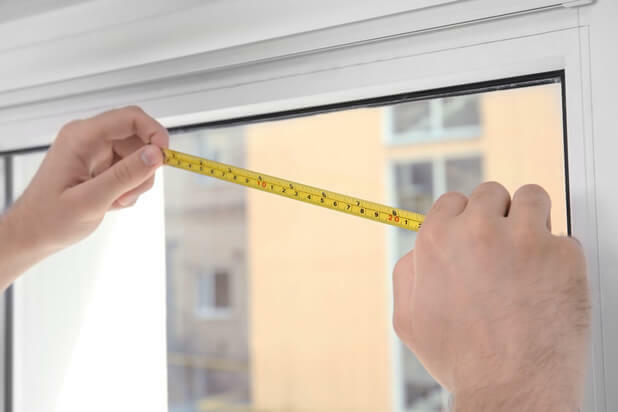 Measuring is also not just a case of running measure tape around the window recess. Not all properties have true or straight windows which can lead to problems when coming to fit. We take all this into account when one of our experts surveys your home for shutters. We have dealt with all shapes and sizes of windows and openings, with even the trickiest or uneven recesses built into our design and installation, such as windows on older properties. Things do go wrong! You know what it is like putting together flat pack furniture, or carrying out DIY around the home. What you thought would be a 10 minute job, turns into days of turmoil as things go wrong or errors are accidently made. 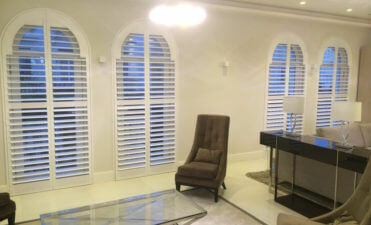 The fact that shutters are a custom made, high value item adds to the stress of installation. You get one chance, if mistakes are made not only may you have to reorder more shutters, but damage could also be done on and around the windows. We have also seen many cases where the homeowner has absolutely done their best, but still the fit just isn’t quite right, with gaps, hidden damage and problems with the operation of the shutters. Poorly fitted shutters can also lead to damage happening in the future with general use. 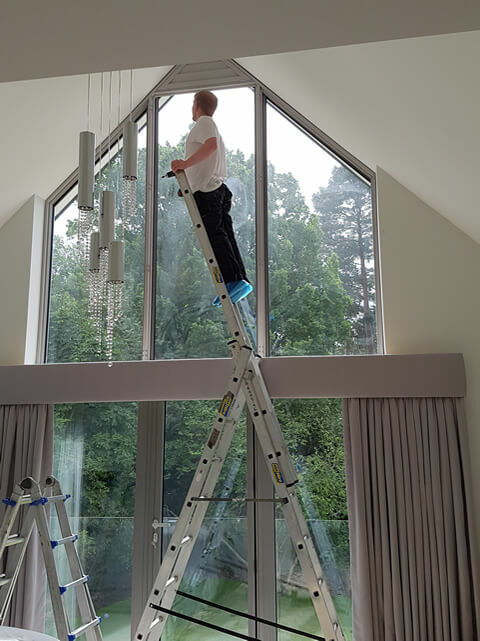 We admire anyone who tries to carry out work themselves and save money, but you also have to weigh up the fact that the cost of damage and indeed your time may far outweigh the extra cost of having the shutters professionally measured and installed. Can any window or recess have shutters installed? The short answer is YES. The beauty of our bespoke design and installation service is that we create shutters for countless windows and openings throughout all rooms and buildings. There are many different shaped windows we have had to contend with over the years, including different angles, arches, circles, half circles, octagons, parallelograms, trapezoids, you name a shape we have installed there. 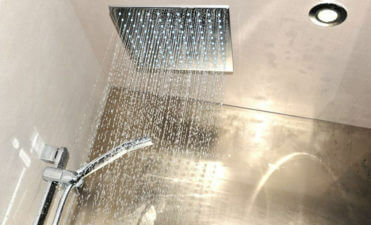 We have also installed in buildings from new builds through to castles and hotels to boats! So how long do our installations take? 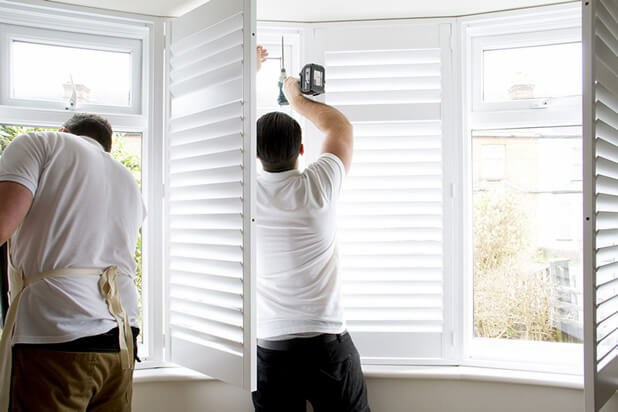 You can sit back and relax while we install your shutters precisely and with the peace of mind that we have carried out all the measurements and design elements. 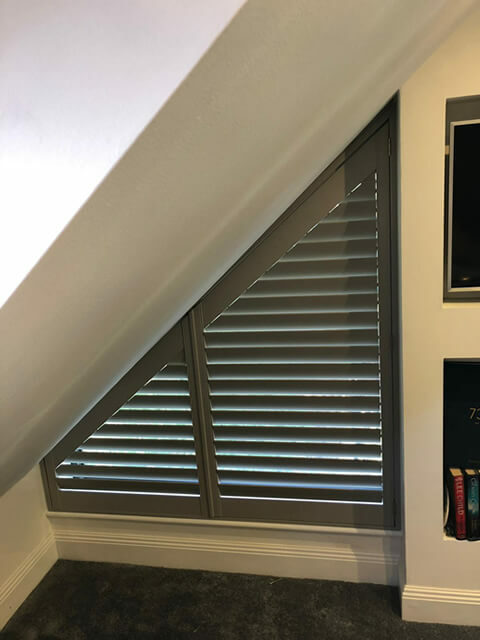 We work with your individual home and windows to get a millimetre perfect install which is built to last so you and your family can enjoy the shutters for years to come, worry free. During our initial survey our experts will give you an indication of time to complete the project, based on what they have seen and the type of design and materials you require. Smaller jobs can take just a few hours, but larger jobs of entire homes and properties can take a day or more. 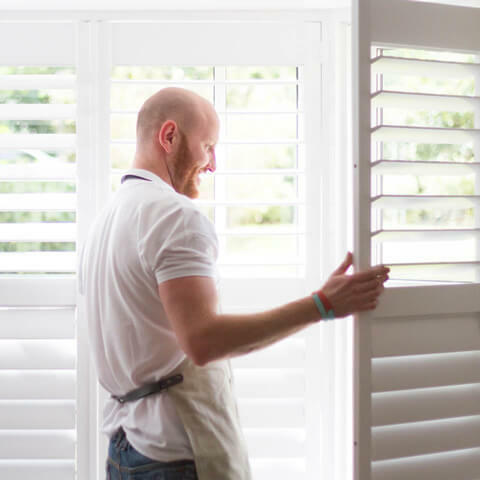 Regardless, our team of highly skilled experts will carry out the job properly and within good time, allowing you to use your new shutters as soon as possible, but more importantly making sure they are done right! Part of the time is also in making sure that the areas we have worked in are protected and also cleaned when we finish, leaving your home in the same condition as when we arrived is all part of the service with the addition of some amazing shutters now in place! For slightly more demanding jobs we will always have more than one installer on hand to not only cut down the time we are in your home, but to cast another eye over the work as it is carried out. 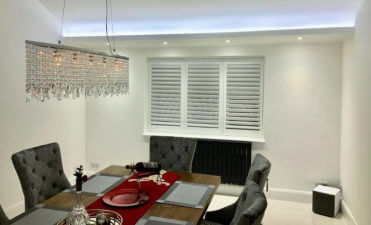 We would love to hear from you regarding any shutter installation you are planning on having carried out, you may be surprised at just how cost effective our service is and with thousands of extremely happy customers all over the south of the UK, you can rest assured that the money is well spent! You can reach us over on our contact page, or get an idea of how your shutters could look and a no obligation quote using our Choose your shutters page.